If you aren't familiar with the previous game, Payday: The Heist is a four player co-op game where you and your crew are work together and take it to the American banking system. It's sort of like Kane & Lynch, only with more masks and less nakedness . Overkill Software also released some pre-order information along with the trailer. Most of it involves extra mask designs and some extra cash for your crew, but those who pre-order on Steam and add $10 to the $39.99 price tag also get the original soundtrack, two beta keys, a digital guide on how to pull a heist (we think it's a strategy guide, but the press release wasn't clear) and blueprints for places to heist. Hopefully those blueprints aren't of real places. 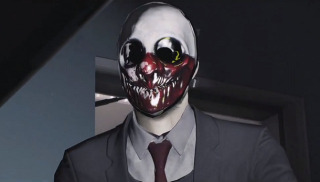 We sat down with Payday 2 not too long ago and liked what we saw . It's still too soon to tell if Payday 2 will be to video games as Heat was to movies, but we'll just have to keep our fingers crossed until August.